Your source for Building Plans, Permitting Assistance, and CAD Drafting Services. All Cad Designs with more than 20 years of experience in the building industry,working for several of the elite local builders has afforded the All Cad Team the expertise and professionalism that any Builder, Developer, Engineer or Architect would want working on their plans. The professionals at All Cad Designs strive for a common goal - to be the area's most efficient and reliable computer-aided drafting service, but also to create a future model for success for the greater benefit of Florida construction. Throughout the years, the design team has built a solid reputation and longevity with clientele by displaying dedication, creative problem solving and design excellence. As a resource/outsource our goal is to offer architects, engineers, builders, contractors, interior designers and the general public clients a "pay for what you need program" for assistance with everything from preliminary design to filing permits; including field measuring, permit denials and getting structural approval as required on new construction or remodels. With over 600 + projects experience- can turn your office or dream home ideas into reality! We create home plans that can be used by any builder or contractor and we pride ourselves with designs that are cutting edge and innovative. Our residential portfolio includes the ever popular: Mediterranean house plan, luxury house plan, custom house plans, cool house plans, unique house plans and dream home plans that have set the standard for architectural design on Florida's Gulf Coast. When building plans are garbled, sloppy, error-filled or missing important information, problems will escalate from the start of any project. Our complete construction documents are clear and concise, ensuring construction proceeds smoothly and efficiently. 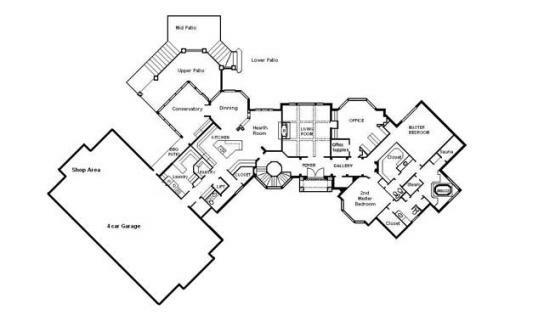 It truly is shocking how much house plans and office plans improve with a minimal amount of professional design! Especially on a budget, it is not wise to cut corners on design. Picture the difference between an amateur newsletter and a real newspaper or a landscape garden compared to a random set of plants. DO IT RIGHT FROM THE START- It is a very worth while investment that will likely improve not only the quality of your life but also the re-sale value of your home. Our clients do not just buy our services-They are buying an improved lifestyle for their family. Even if you are working within a tight budget, It is never pays to cut corners on design. Design time is where all your dreams will come together. Start collecting ideas for what you want, expect, need or dream about from magazines, pictures, brochure or ads. You can even sketch your own custom ideas on paper or napkins. Those unique house plans you see on T.V. or in print are custom projects that probably started similar to this. Plan development begins with you and our staff sitting together and creating a narrative script of your wants, desires, mandatories and budget while reviewing any sketches or drawn ideas you have already started. We will also discuss the functional relationships of room spaces -vs- creative design solutions. Giving you an idea of what can and will happen in relation to your specific home. Lets get Started. All Cad Designs professionals will CAD a version of just the floor plan and exterior elevations for you to review and make changes or approve. This is the exciting part as you can see your home or office plans take life. At this point you can still make major design changes if you have changed your mind or forgot about anything you would like to incorporate. Once you approve and can visualize your new custom home or office, All Cad Designs professionals will then construct the rest of the plans and technical information required by architects, engineers, builders, subdivisions, county, city and state. All of your designs and our solutions will be incorporated in this set of plans. If approved you are now ready for engineering of this stucture. If your project requires an architect or engineer, we have a list of such professionals we have worked with that you may wish contact and directly contract for said architectural or engineering services. Hand your plans to any builder or contactor for bids and estimates. In the building process, If a problem arises in the field, contact us and we will be glad to help with any situation. We can make field visits as needed. We look forward to assisting you with any computer aid drafting needs, but more importantly -Offering our professional expertise and design solutions for your next house plan or commercial building plan whether it be Custom plans , luxury plans, unique plans or just cool and innovative plans.